Empty sandy beaches that stretch for miles, cool waterfalls, ranges of untouched mountains, an interesting history, and a unique culture, Nha Trang has it all. Fast becoming one of the top destinations in Vietnam for all these reasons and more, here are 11 attractions you must not miss if Nha Trang is in your itinerary. 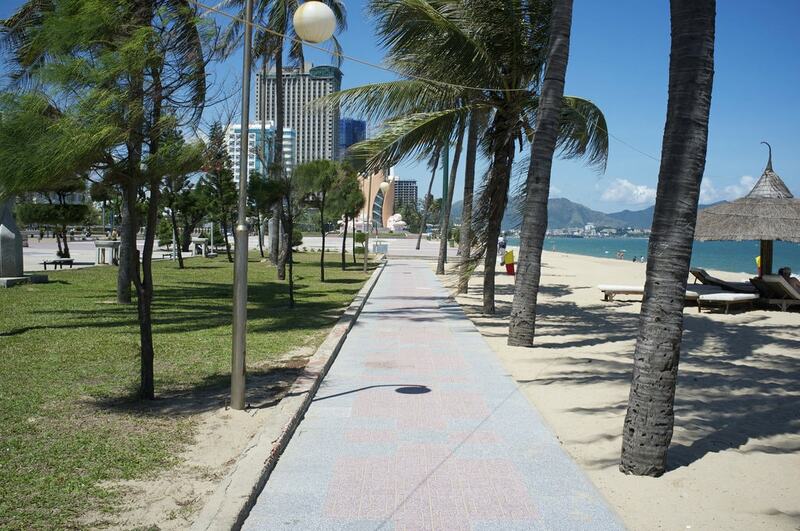 Tran Phu Street running down the coast of Nha Trang is the most popular street in the city, with high end resorts like Intercontinental and The Sheraton on one side, and a lively beach on the other. There are plenty of beach-side cafes, restaurants, bars and pubs for you to choose from that have their own little bit of beach with reclining chairs and parasols, so find one to suit your tastes and spend an evening lazing about. Tran Phu, Nha Trang, Khanh Hoa, Vietnam. Dam market is the most popular market in Nha Trang and is a huge imposing four story concrete structure. Inside you will find everything Vietnamese, from clothes and accessories to electronics and household items, spread around various colorful stalls. Head in here in the morning and have some breakfast in the food court to start your day. Cho Dam, Van Thanh, Nha Trang, Khanh Hoa, Vietnam. 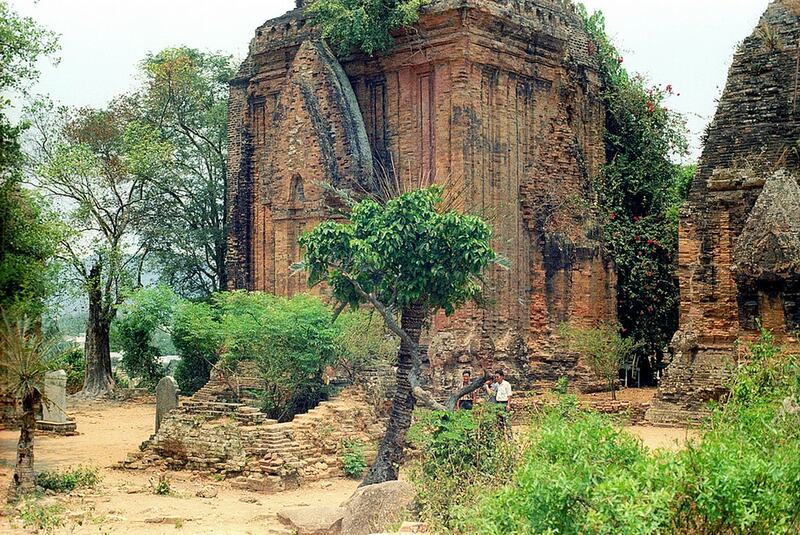 These are some of the best-preserved pieces of Cham architecture in Vietnam, similar to the My Son Temples in Da Nang. Built between the 7th to the 12th centuries, this temple is dedicated to the goddess of the country, Yan Po Nagar, and is still used for worship by the remaining descendants of the Cham culture that once flourished throughout the country. Thap Ba Po Nagar, Nha Trang, Khanh Hoa, Vietnam. Situated at the foot of Tray Thui mountain, this pagoda was built in 1886 in typical Taoist style. 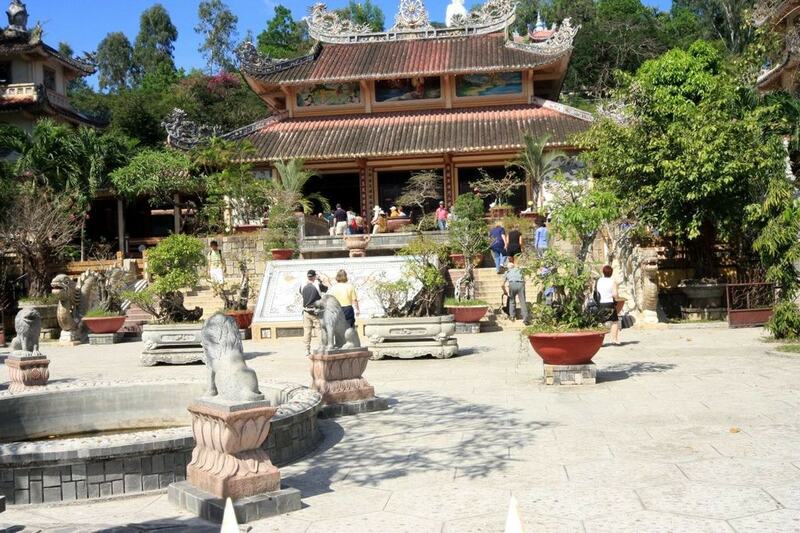 Long Son Pagoda is where you can find the large white Buddha statue sitting atop the mountain crest that you can see from most places in Nha Trang town. Chua Long Son, Nha Trang, Khanh Hoa, Vietnam. Nha Trang Cathedral is another still functioning religious monument that also serves as a tourist attraction. Despite being constructed using simple blocks of cement, the cathedral looks surprisingly elegant. Mass is held multiple times a day, and it is a great way to witness differences in religious routines compared to those back home. Nha Trang Cathedral, 31 Thái Nguyên, Nha Trang, Khánh Hòa, Vietnam. The National Oceanographic Museum opened in 1922 and is housed in an old French colonial building. Since inception it has allowed visitors to explore the marine life of the region through artifacts, fossils and displays, spread out over two floors. Makes for a great excursion if you have kids. Institute of Oceanography, Tran Phu, Nha Trang, Khanh Hoa, Vietnam. Another great museum to visit if you have children, the Impressions Museum is actually more of a 3D art gallery. There are quirky illusionist paintings and installations where visitors can pose for photos – they come out looking as if it were a scene from a movie. Impressions Museum, Phuoc Long, Nha Trang, Khanh Hoa, Vietnam. 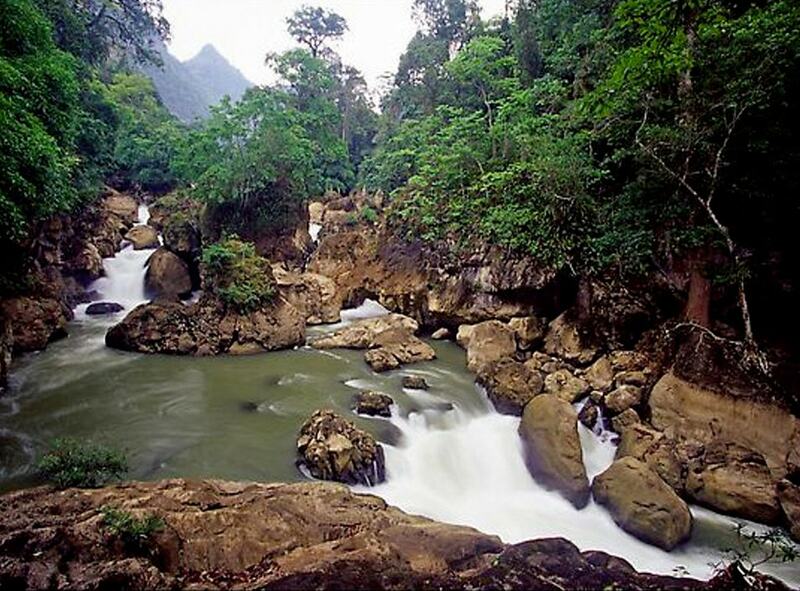 About 17 miles (27 kilometers) north of Nha Trang, reached via a beautiful coastal drive, is Ba Ho Waterfall which literally translated means “three pools.” The waterfall is perfect for a morning dip and barely ever gets crowded. Wear good hiking shoes and follow the arrows painted on the rocks and trees. Ninh Ich, Ninh Hoa, Khanh Hoa, Vietnam. Hon Ba Mountain may take a while to climb but up on the summit is a beautiful little house built by Alexander Yersin, a French doctor, who used it as a little getaway. With a cool climate all year round, Hon Ba Nature Reserve is dubbed “The Da Lat of Nha Trang,” and all your sweat will evaporate thanks to the cool winds found up here. Hon Ba, Khanh Son, Khanh Hoa, Vietnam. A fine alternative to Tran Phu Beach, Bai Dai beach 18 miles (30 kilometers) away from the center of Nha Trang is more peaceful with a more local feel. The waves here make it a fantastic location for surfing, and if you hit up The Shack, you can rent reliable surfing equipment. 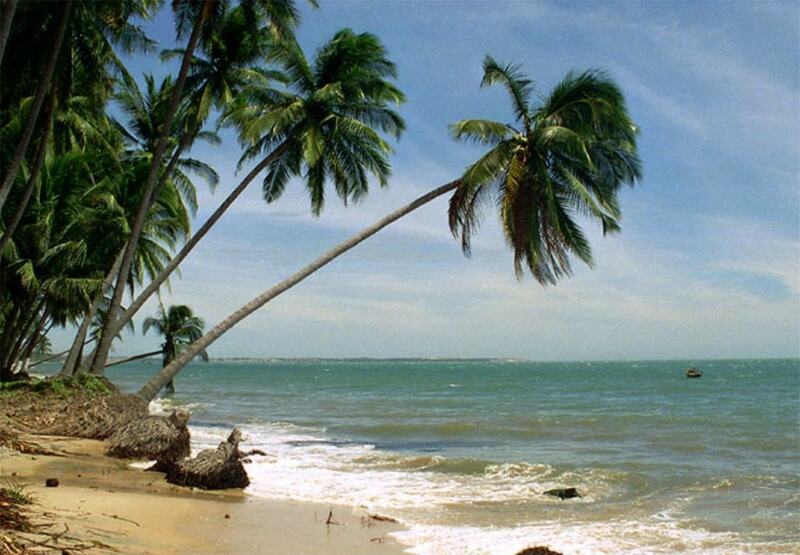 If surfing is not your thing, just get a beer and chill on a hammock by the beach. Bai Dai, Nha Trang, Khanh Hoa, Vietnam. A strip of beach owned by Jungle Beach Resort, this is one of the most secluded and pristine beaches in Nha Trang and is worth the two hour drive up coast. 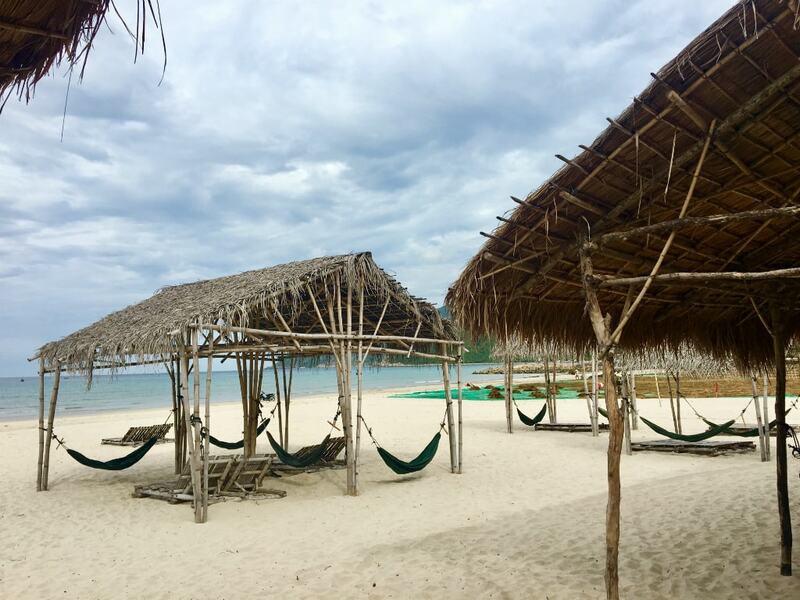 The resort is built entirely from bamboo over a period of 12 years by the owner and he doesn’t require that you spend the night to visit the beach. But as common courtesy, it would be nice if you could order a drink or a meal before you plop yourself on a hammock and swing the evening away. Jungle Beach Resort, Ninh Phuoc, Ninh Hoa, Khanh Hoa, Vietnam.